Wine cooperatives are mostly unknown to many wine consumers, but they play a key role in many wine regions around the world, and without them, the wines from many of these regions would have never made it beyond its own local market or even be sustainable for production. In this article, we explore the important role of wine cooperatives across different regions around the world, and examine their interesting history and practices which produce outstanding wines. A wine cooperative is an agricultural cooperative which is involved in wine-making, owned by its members who pool their resources and share costs in certain areas of the wine production and sales process. Wine cooperatives are responsible for a significant proportion of the total wine production in many major wine-producing countries but their importance varies across the different wine regions within these countries. Cooperatives tend to play a bigger role in regions where the average size of vineyard holdings is small and the wine's selling price is lower than the average price, across other regions. Most wine cooperatives were established in the late 19th century, after the phylloxera epidemic ravaged many European vineyards in the mid 19th century, and during the mid 20th century, following the Great Depression and the Second World War. For many vineyard owners with smaller holdings, it was not possible to have a viable business model to produce wine on their own, due to the combination of natural disasters, wars, periods of economic crisis, during that period of time, hence resulting in a collective effort to achieve sustainability. Wine cooperatives allow many of the small vineyard owners to efficiently compete with the bigger producers by growing higher quality grapes and adopting improved farming processes and technology, while sharing the costs and resources. Every member is compensated not by the quantity of the grapes delivered to the cooperative, but based on the quality. The cooperatives also ensure the exchange of information and good practices among the growers, so that there is a collective improvement in the overall quality of the wine produced. Many of the cooperatives also frequently conduct tastings for their growers, who get to taste their own wines alongside other producers from around the world, so they can note what needs to be achieved in the market and stay competitive. Being a member of a wine cooperative is not the only option available to a vineyard owner, as other alternatives include entering into long-term contracts or lease with wine merchants or other bigger wine producers. 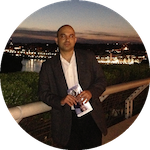 The attractiveness of these options vary greatly between regions, driven by different factors. To better understand the role and importance of wine cooperatives, we must examine the different regions, where these cooperatives play an important role, and trace back their history. 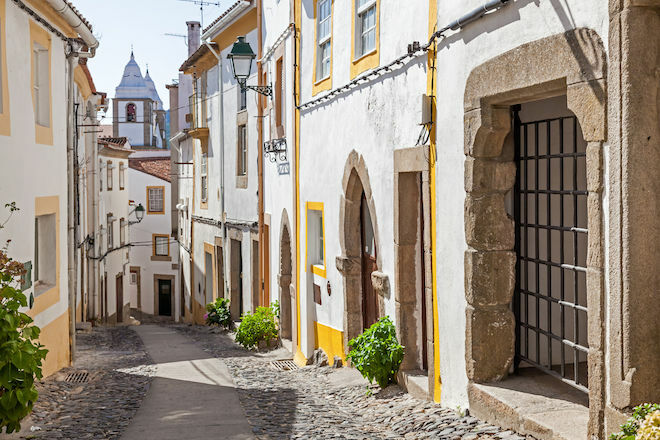 In this article, we take a look at five different wine cooperatives from Portugal, France, Italy and Brazil, and trace their origin and evolution. The Cave de Ribeauvillé is the oldest cooperative in France, established in 1885, following the Franco-Prussian war. 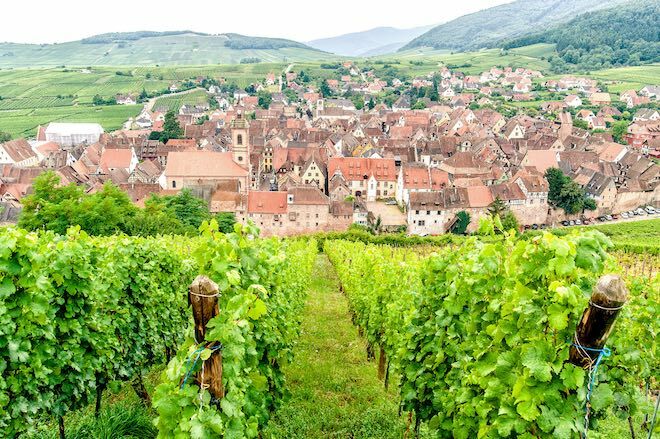 After Alsace was annexed to the German Empire in 1971, it immediately lost its French wine market and its growers struggled to sustain their vineyards. 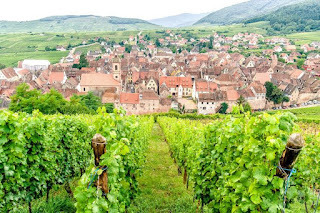 The wine growers of Ribeauvillé, a small town in Alsace, decided to group together and they founded the cooperative based on the ideas of German sociologist Frédéric Raiffeisen. Frédéric Raiffeisen, a German politician and economist, played an important role in the development of rural cooperative banks and agricultural cooperatives in Germany. During the economic and winter food shortages in 1846-1848, Raiffeisen who was then a mayor of a municipality in Rhineland, created a community bakery, and then went on to develop loan cooperatives that would help the rural farmers and craftsmen. At Cave de Ribeauvillé, each member had to bring all his harvest to the cooperative and in exchange was fairly paid. 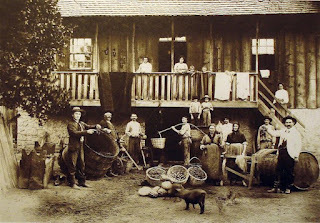 Skilled workers were in charge of the wine-making and an administrative body took care of production and selling. All the operations were placed under the control of the winegrowers who formed a board of directors. Today, around 40% of the wine in Alsace is produced by wine cooperatives and there are 15 co-operatives which vary in scale. Adega de Borba is a cooperative winery founded in 1955 in the Alentejo wine region located in the south-central part of Portugal. 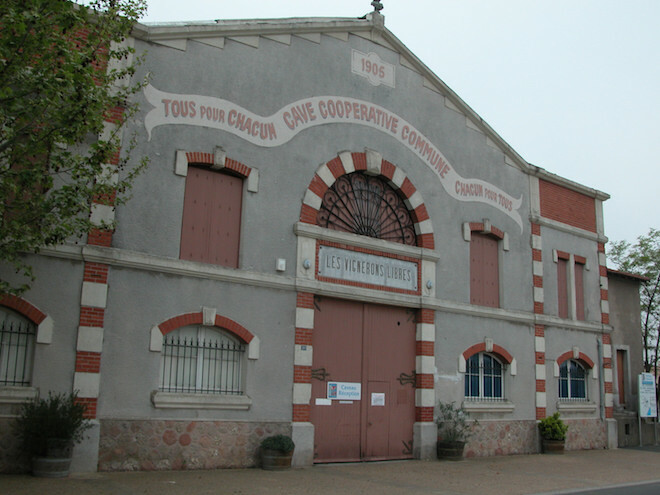 The cooperative was formed at a time when wine production didn’t carry much weight in the economy of the region and all the incentives were allocated to grain production. The biggest turning point for Adega de Borba happened in the 80's when the growth in the economic and technological development in the area, created a growing middle class and a demand for better wine quality. Adega de Borba was able to make timely investments in state-of-the-art equipment due to it being a cooperative, having the right structures and decision making processes in place, as opposed to individual smaller vineyards with limited budgets and planning resources. Today, Adega de Borba brings together 300 associates whose vineyards cover a total area of 2,000 hectares. The large scale production makes it economically viable to compete with other wine regions and the increasingly intense price pressure. Though the region has attracted many new wine producers, most of the wine is produced by 6 cooperatives. Cantina Terlano and Cantina Colterenzio are two different winery cooperatives from Alto Adige wine region located in the northernmost part of Italy. 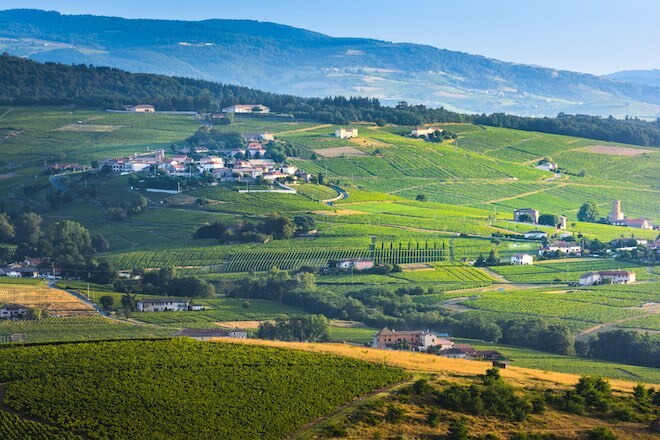 Located between Austria and Switzerland the region is one of Italy’s smallest wine growing regions, with less than 1% of the country’s total production. Around 70% of Alto Adige wine is produced in wineries run by cooperatives. Also known as South Tyrol, the area had been part of Austria, prior to First World War. Most farmers in this region have just an acre or two of vines and lack professional wine-making equipment. To some of them, wine-making is also a secondary occupation. Cooperatives allow these small vineyard owners to bring in their hand-harvested grapes and receive the dividends for their contributions to the harvest. The growers co-own the cooperative and are paid based on the quality of the grapes they deliver. Cantina Terlano was founded in 1893, in Terlano, at a time when agriculture was the mainstay of the regional economy. Wine-making in the region was dominated by a few big landowners. Cantina Terlano, was established by a group of 24 winegrowers, as a joint production, sales and marketing organization and is one of the first winery cooperatives in South Tirol. Today, it has a current membership of 143 growers working a total area of 165 hectares. Cantina Colterenzio is one of the newest wineries in South Tyrol, which has over 300 families working behind the winery scenes to deliver hand-harvested grapes, some of them as a secondary occupation. It was founded in 1960, by 28 winegrowers from Colterenzio, in order to gain their independence from the wine merchants of the time. At Cantina Colterenzio, Luis Raifer, who took over the management of the cooperative in 1979, having returned from a study trip in California, introduced new quality standard measures, including replacing the native Vernatsch vines in his vineyard, with Cabernet Sauvignon grapes, and later, Sauvignon Blanc. Later, this approach was extended to all members of the cooperative as new grape varietals were experimented with, and quality groups created. 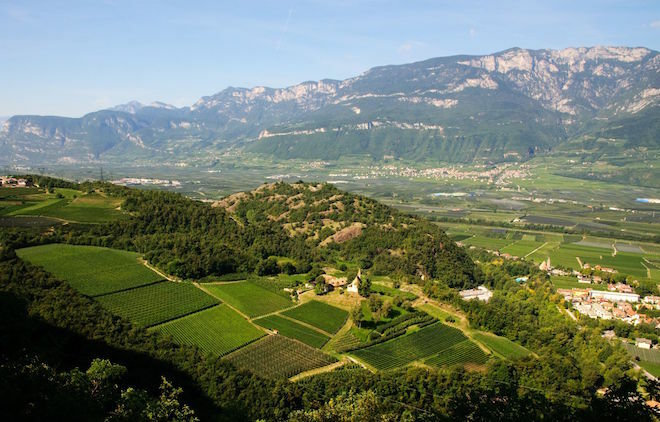 Today, both these winery cooperatives from South Tyrol, are known to produce wine from top-quality grapes and are also well established in the world of wine. Vinícola Aurora is a winery cooperative established in the South of Brazil, in Serra Gaúcha, in 1931, by 16 winegrowers, in what would become the largest undertaking of this kind in Brazil. The history of Vinícola Aurora, dates back to the last quarter of the 19th century, when the newly united Italy suffered an economic crisis, causing many Italians to immigrate to Brazil. 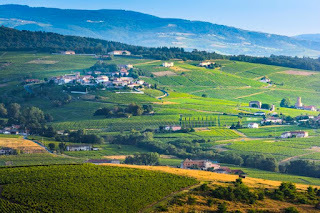 Many immigrants, mainly from the Northern Italian regions of Veneto, Lombardy, Tuscany and Emilia-Romagna arrived in Serra Gaúcha and they brought with them the art of cultivating vineyards and making wines. The company assures the quality of its products and processes, through its management and committed to its members, employees and community in a social and environmental way. Today, the cooperative has over 1100 members and has an average production of 55 million kilograms of grapes a year and exports its wines, sparkling wines and grape juices to more than 20 countries.